Wanting to sell ur car in Lightow to trustworthy guys? Are you looking for someone to buy your car? Call NSW car buyer today and one of our Cash for Cars Lithgow advisers will come to see for a valuation. 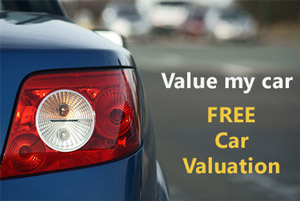 Once we have valued your car you will be offered cash on the same day! Do you want to avoid the stress of selling a car? If you’ve ever been through the experience before, selling your car privately can be time consuming and be a hassle dealing with private cash for cars wreckers. No waiting around to sell your car – Cash for Cars Lithgow is quick and easy. we are local too so we can come out to you on the same day as your inquiry. Cut out fees for advertising your car and let us take care of everything for you. Unlike most cash for cars companies that provide this service, we don’t hit you with unexpected charges. We will pick your car up for free. You can’t miss us. Whether you’re travelling from Sydney or from Katoomba we’re really easy to find. Not only that, but we can come to your location and give you an instant offer. There are huge range of other great benefits to selling your car to NSW CAR BUYER in Lithgow. Once you arrive, you’ll enjoy a complimentary tea or coffee, whilst our experienced team gets to work on quick inspection of your car. With all checks and RMS documentation complete, you’ll be talked through the next stages of the process and – if satisfied your car is as described in your online car valuation we’ll make you an offer. Help Me Sell My Car in Lithgow! Enter your details on our ‘contact us‘ page, one of our team will call you for more details then you receive our quote. All transactions are completed whilst the car is still in your possession so everyone is safe & secure! For a fast, hassle-free sale with secure payment and local to you in Lithgow and other New South Wales towns, sell your car to us! We are committed to offering our customers the very best customer experience. Make, model, condition or even age is unimportant! We want to buy your car! We will buy any car from road worthy failures, non-runners and even brand new cars. We will come directly to your home address and buy your car anywhere in or around Lithgow. We can even come to you, pick you up and then drop you off at home afterwards. Do you own a car and have no more use for it? Perhaps you have traveled Australia and have decided that you had traveled enough and it was time to sell your car. Selling a car in the open market through classified ads or even gumtree may not fetch you the amount you deserve for it. Depending on where you live, there are many car sales shop that offer you cash for your car. Read more: sell my car Campbelltown, sell my car Blacktown.